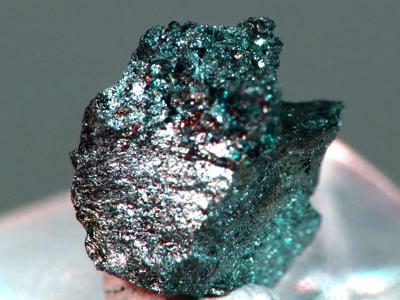 Krieselite is a newly discovered naturally occurring mineral. It is the germanate analog of topaz. The type of material occurs in tiny vugs in tennantite/chalcocite/Galena/germanite ore, with anglesite, quartz, and wulfenite. 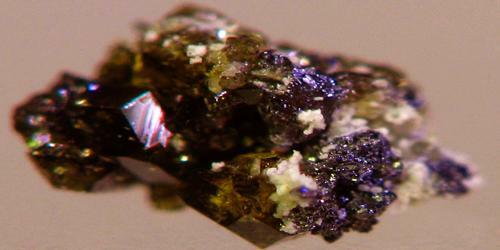 Found in the Tsumeb Mine in Tsumeb, Namibia at an unknown date and unknown depth, the mineral was first cataloged in 1994. It occurs as beige to white, hemispherical aggregates and crusts of fibrous crystals and is closely associated with quartz, wulfenite, anglesite, and graphite. The fibers are up to 50 μm long and up to 5 μm thick. Krieselite aggregates are translucent with a greasy luster. The streak is white. Occurrence: From vugs in tennantite-chalcocite-galena-germanite ore in a complex polymetallic hydrothermal sulfide deposit. The krieselite occurs as fibrous crystals (to 0.05 mm), forming hemispheres and crusts (to 0.2 mm). Following the acceptance as a new mineral by the International Mineralogical Association in 2003, the material has been matched to unknown samples from the same mine in Namibia from 1972.